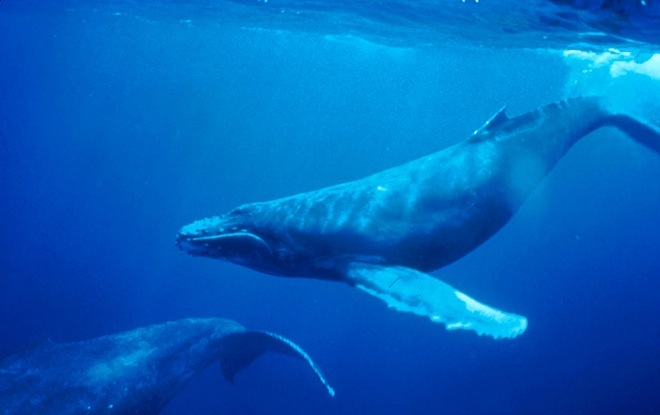 10 Docker Tips and Tricks That Will Make You Sing A Whale Song of Joy | I care, I share, I'm Nathan LeClaire. As mentioned in a previous post I just started a shiny new job at Docker Inc. and I’ve been accumulating all sorts of good Docker tips and tricks. I think there is probably demand for them in the community, where just the sheer amount of information about Docker to take in is very overwhelming. Once you’ve mastered the basics, the creative possibilites are endless, and already my mind has been blown by what some of the folks I work with have come up with. Just like I mentioned in this post, the Cambrian explosion of creativity it’s provoking is extremely exciting. So I’m going to share some of my favorite tips and tricks with you guys. Ready? This one’s pretty straightforward. If you run Docker on Digital Ocean or Linode you can get way better bandwidth on pulls and pushes if, like me, your home internet’s bandwidth is pretty lacking. I get around 50mbps download with Comcast, on my Linode my speed tests run an order of magnitude faster than that. 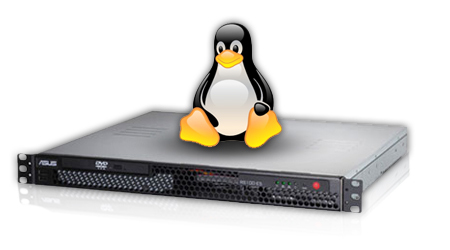 So if you have the need for speed, consider investing in a VPS for your own personal Docker playground. What if you want to do Docker-ey things inside of a container but you don’t want to go full Docker in Docker (dind) and run in --privileged mode? Well, you can use a base image that has the Docker client installed and bind-mount your Docker socket with -v.
Now you can send docker commands to the same instance of the docker daemon you are using on the host - inside your container! This is really fun because it gives you all the advantages of being able to mess around with Docker containers on the host, with the flexibility and ephemerality of containers. Which leads into my next tip…. How many times have you needed to quickly isolate an issue to see if it was related to certain factors in particular, and nothing else? Or just wanted to pop onto a new branch, make some changes and experiment a little bit with what you have running/installed in your environment, without accidentally screwing something up big time? 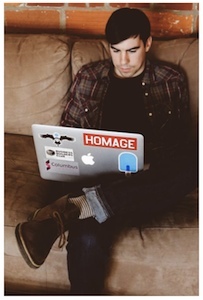 Docker allows you to do this in a a portable way. Simply create a Dockerfile that defines your ideal development environment on the CLI (including ack, autojump, Go, etc. if you like those - whatever you need) and kick up a new instance of that image whenever you want to pop into a totally new box and try some stuff out. For instance, here’s Solomon’s. Especially deadly if you use vim/emacs as your editor ;). You can use /bin/bash as your CMD and docker run -it my/devbox right into a shell. You can also bind-mount the Docker client binary and socket (as mentioned above) inside the container when you run it to have access to the host’s Docker daemon for container antics! Likewise you can bootstrap a development environment on a new computer easily this way. Just install docker and download your dev box image! Or “the shell is your friend”. Sorry zsh and fish users. Just like many of you have aliases for git to save keystrokes, you’ll likely want to create little shortcuts for youself if you start to use Docker heavily. Just add these to your ~/.bashrc or equivalent and off you go. to start a stopped conatiner and attach to it. Let's face it, who doesn't love this? Pretty simple. 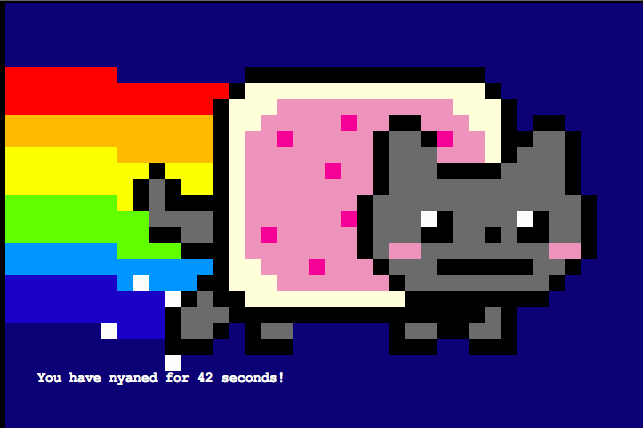 You want a nyan-cat in your terminal, you have docker, and you need only one command to activate the goodness. This is what hacking looks like. The newest (read: BEST) versions of boot2docker include a host-only network where you can access ports exposed by containers using the boot2docker virtual machine’s IP address. The boot2docker ip command makes access to this value easy. However, usually it is simply 192.168.59.103. I find this specific address a little hard to remember and cumbersome to type, so I add an entry to my /etc/hosts file for easy access of boot2docker:port when I’m running applications that expose ports with Docker. It’s handy, give it a shot! Note: Do remember that it is possible for the boot2docker VM’s IP address to change, so make sure to check that if you are encountering network issues using this shortcut. If you are not doing something that would mess with your network configuration (setting up and tearing down multiple virtual machines including boot2docker’s, etc. ), though, you will likely not encounter this issues. You can do all sorts of awesome flexible things with the docker inspect command’s -f (or --format) flag if you’re willing to learn a little bit about Go templates. The creative possibilites of this are just mind-boggling to me. I REALLY want to see someone make a version of TypeRacer where you compete with other contestants in real time to type code into vim or emacs as quickly as possible. That would be pure awesome. Or a real-time coding challenge where your code competes with other code in an arena for dominance ala Core Wars. Jerome wrote an opinionated article a few weeks ago that shook things up a bit. In it, he argues that you should not need to run sshd (daemon for getting a remote terminal prompt) in your containers and, in fact, if you are doing so you are violating the Docker philosophy (one concern per container). It’s a good read, and he mentions nsenter as a fun trick to get a prompt inside of containers which have already been initialized with a process. I’m not talking about the hashtag!! I’m talking about the channel on Freenode on IRC. It’s hands-down the best place to meet with fellow Dockers online, ask questions (all levels welcome! ), and seek truly excellent expertise. At any given time there are about 1000 people or more sitting in, and it’s a great community as well as resource. Seriously, if you’ve never tried it before, go check it out. I know IRC can be scary if you’re not accustomed to using it, but the effort of setting it up and learning to use it a bit will pay huge dividends for you in terms of knowledge gleaned. I guarantee it. So if you haven’t come to hang out with us on IRC yet, do it! That’s all for now folks, I hope you’ve learned a bit and you have all sorts of great ideas burning in your head about Docker!! Enjoy it, join the conversation around it, and above all BE CREATIVE. Until next time, stay sassy Internet. And consider signing up for my mailing list.